Israeli Prime Minister Benjamin Netanyahu urged Palestinian President Mahmoud Abbas on Sunday to "tear up" his pact with Hamas, saying Israel would not take part in Middle East peace talks with a Palestinian government backed by the Islamist group. Netanyahu also said Abbas's comments earlier on Sunday denouncing the Holocaust could not be reconciled with his alliance with Hamas. 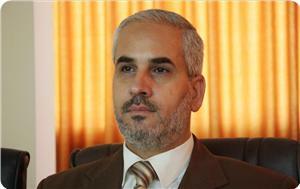 "President Abbas has to decide whether he wants a pact with Hamas or peace with Israel. He cannot speak out of both sides of his mouth. He cannot embrace Hamas and say that he wants peace with Israel," Netanyahu said on the U.S. television program "Face the Nation," according to a transcript provided by the CBS network. In an appearance on the CNN program "State of the Union," Netanyahu reiterated that Israel would not negotiate with a government backed by Hamas. A historic reconciliation agreement has been concluded between the Islamic Resistance Movement-Hamas and the National Liberation Movement-Fateh party, after nearly 7 years of division. The agreement was annouced shortly after a delegation of PLO representatives arrived in Gaza yesterday, April 22, with the aim of striking a reconciliation deal with Hamas. Former agreements between the two movements faltered as several details within the reconcilation issues (PLO restructuring, elections, government, social reconciliation, freedoms) had been disputed over. However, today's fresh move is said to be conclusive on the implementation steps. Al Ray contributed to this report. A Bethlehem father whose daughter recently released a pro-Israel video has condemned the move, saying that the family "rejects and distances" themselves from the content in a statement made to Bethlehem's Radio Mawwal. The Anastas family also denied claims that their daughter had been forced to flee, saying that they feared she had been the victim of "entrapment" and was under "pressure" from sponsors who had promised to pay her enrollment fees and housing costs for university in the United Kingdom. Jews as an everlasting covenant," and claimed that she was forced to flee Palestine because of persecution for her beliefs. The Anastas family expressed their "surprise" at the video, "deploring and condemning" her words, denying that she was ever forced to "flee" but instead that they she had left of her own free will to study abroad. They added that the video "was a result of direct pressure that Christy is currently experiencing." They said in a statement that a year and a half ago, a British church official had come to their house and offered to pay for their daughter to attend university in the United Kingdom. After accepting the offer and traveling to the UK, however, the family said that Christy's behavior had become "incomprehensible and unclear," and claimed that she was no longer enrolled in university. They did not understand what the men who were paying for her education had done to her, they added. "For as long as we know, Christy's position was always against the wall and the Israeli occupation, which prevented her from living her childhood," the family said, stressing that she had expressed this point of view "in more than one television interview in the past." They also said that they feared that Israeli authorities were trying to "exploit" their daughter "in order to weaken us and get us out of our house, which has been the target of the occupation since the construction of the apartheid wall." The Anastas family live a uniquely nightmarish scenario, as their house is surrounded on three sides by the separation wall and Israeli soldiers have cameras trained on their home 24 hours a day. 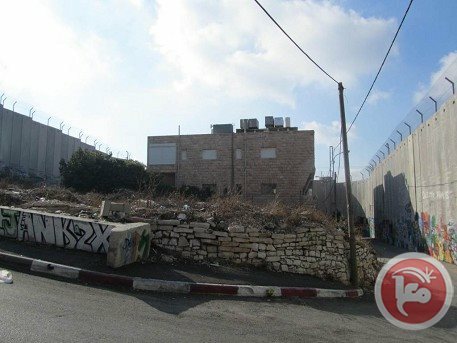 According to the family, occupation authorities have for years harassed them and attempted to force them from the home, setting up a military base on their roof and even offering them cash incentives to leave. 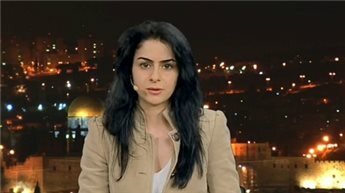 Christy Anastas was featured prominently alongside her family in a 2012 episode of the US news program 60 Minutes, in which she and other Palestinian Christians spoke of the suffering they experienced at the hands of the Israeli occupation. The show was so controversial in the United States that then-Israeli ambassador Michael Oren even intervened and called the chairman of CBS News prior to the episode's release to complain, despite not having seen the show. In the recently released video, however, Christy Anastas claims that she supports the construction of the wall and would have done it herself if she had the choice. "If you ask me a simple question: 'If you were the prime minister of Israel, would you put that wall up?' My answer would be yes," she said, even though she claimed that the wall had taken mostly Christian land. She also called Israel's 1967 victory that led to the occupation of the West Bank "God's hand," and claimed that during the Intifada, Palestinian militants forced Palestinian Christians to pay a "jizya tax," or an Islamic tax historically levied on religious minorities. "People call them freedom fighters; I call them mafia," she said, claiming that they fired missiles from beside Christian homes "so that the response would come on Christian homes." Anastas has been active in pro-Israel work in the UK for at least the last year, and is one of the founders of the Emmaus Group, which says it "seeks to build understanding and reconciliation between the Church and Israel in the face of mutual challenges and threats." The controversy comes amid a wider effort on the part of Israeli authorities to co-opt Christian communities inside Israel and to strengthen support for Israel from Christian communities abroad. Palestinian Christian activist groups like Kairos and conferences such as "Christ at the Checkpoint" have been organized to spread awareness among Christian communities internationally of the difficult situation Christians -- like other Palestinians -- endure as a result of the Israeli occupation. Israeli authorities, however, have targeted the community, passing a law in February which defined them as "Christian ethnicity," instead of Arab, in what many Palestinian citizens of Israel claimed was an effort to divide them from other Palestinians. 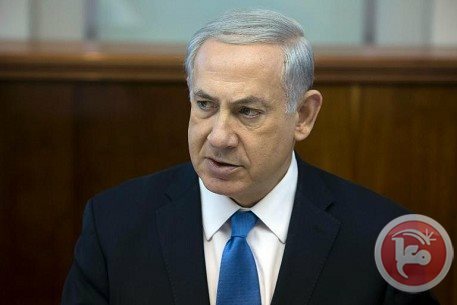 The prime minister of Israel on Sunday dismissed President Mahmoud Abbas' remarks mourning victims of the Holocaust as a public relations stunt aimed at placating the international community. Benjamin Netanyahu also told his cabinet that Abbas should choose between his agreement to form a unity government with Hamas and make a true peace with Israel. "Instead of issuing statements designed to placate global public opinion, Abu Mazen (Abbas) needs to choose between the alliance with Hamas, a terrorist organization that calls for the destruction of Israel and denies the Holocaust, and a true peace with Israel." He added: "We hope that he will disavow this alliance with Hamas and return to the path of true peace." Earlier Sunday in Ramallah, Abbas called the Holocaust the "the most heinous crime against humanity in modern history" and extended his condolences to the "families of the victims and the innocent people who were killed by the Nazis including the Jews and others." Abbas' remarks, which came on the occasion of Holocaust Remembrance Day, marked one of the most high-profile declarations from a Palestinian leader on the systematic Nazi killing of more than 10 million civilians. In his own statement, Abbas stressed that the "world must do its utmost to fight racism and injustice in order to bring justice and equality to oppressed people wherever they are." "The Palestinian people, who suffer from injustice, oppression and denied freedom and peace, are the first to demand to lift the injustice and racism that befell other peoples subjected to such crimes," he added. The president also touched upon the political moment, saying: "On the incredibly sad commemoration of Holocaust Day, we call on the Israeli government to seize the current opportunity to conclude a just and comprehensive peace in the region, based on the two states vision, Israel and Palestine living side by side in peace and security." Additionally, because Israel often cites the Holocaust as a major reason underlying the need for a "Jewish state" in historic Palestine, many Palestinians are sensitive to potential suggestions that the genocide of Jews by Nazi Germany mandates or justifies their own dispossession by Israel. President Mahmoud Abbas on Sunday called the Holocaust the "the most heinous crime against humanity in modern history" and extended his condolences to the "families of the victims and the innocent people who were killed by the Nazis including the Jews and others." The statement, which came on the occasion of Holocaust Remembrance Day, marks one of the most high profile declarations from a Palestinian leader on the systematic Nazi killing of more than 10 million civilians, including the genocide of around six million Jews, during and immediately prior to the second World War. Abbas stressed in a statement that the "world must do its utmost to fight racism and injustice in order to bring justice and equality to oppressed people wherever they are." The president also touched upon the current political moment, saying: "On the incredibly sad commemoration of Holocaust Day, we call on the Israeli government to seize the current opportunity to conclude a just and comprehensive peace in the region, based on the two states vision, Israel and Palestine living side by side in peace and security." The statement came during a conversation with American Rabbi Marc Schneier, and was released in Arabic and English to mark Holocaust Remembrance Day, which is marked in Israel beginning on Sunday evening. Fatah said on Sunday that current Palestinian Authority president Mahmoud Abbas is the movement's choice for presidential candidate, and that within the next few days he would set a date for upcoming elections. The statements come only days after Hamas and Fatah signed a historic national reconciliation agreement, reuniting the two largest Palestinian political parties in a consensus government for the first time in seven years. Secretary-general of the Revolutionary Council of the Fatah movement Amin Maqboul told Ma'an on Sunday that in the coming days, Abbas would issue two presidential decrees. The first will announce the establishment of a unity government, and the second will set a date for Palestinian Authority presidential and parliamentary elections, as well as PLO National Council elections. 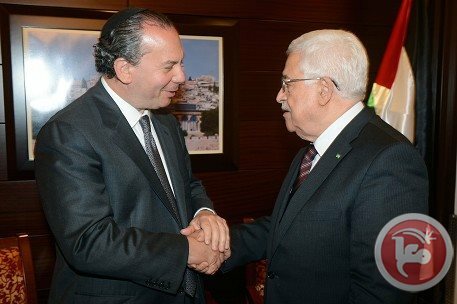 Maqboul said that Fatah's Revolutionary Council decided more than a year ago that Abbas would be the party's candidate in upcoming elections, despite the leader's own insistence in the past that he would not stand for re-election. Maqboul added that Fatah leaders would hold a meeting in the coming few days to study the decision in light of the reconciliation agreement with Hamas and the fact that presidential elections are nearing. "The unity government will be headed by president Abbas, but if Fatah decides that Abbas will run for presidential elections, his vice president will head the government, according to the law," Maqboul said. Maqboul said that Fatah leaders knew that Abbas did not want to run, but insisted that as a public figure broader interests had to be taken into account. Maqboul added that the Fatah movement will make a final decision on that issue soon. 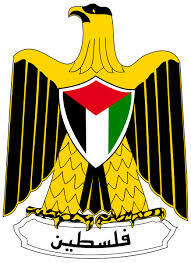 The Palestine Liberation Organization is an umbrella organization that is the internationally recognized representative of the Palestinian people around the world and includes a wide variety of political parties. The Palestinian Authority, meanwhile, emerged as a result of the Oslo Accords in the 1990s in order to administer the occupied Palestinian territories, and was intended to form the backbone of the Palestinian state. Hamas movement urged all Palestinian factions to support the latest reconciliation accomplishment and to stop issuing statements that might obstruct the reconciliation process. 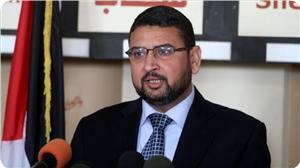 Sami Abu Zuhri, a Hamas spokesman, criticized in a statement to Quds Press on Sunday calls by certain factions on Ismail Haneyya, the Gaza premier, to tender his resignation. He said that such statements were meant to find a role for those factions, adding that resignations were no longer for discussion as the Gaza Declaration clearly stipulated that a new government would be formed within five weeks and thence Haneyya government would be ready to leave. The Hamas Movement said that the speech delivered yesterday by Palestinian Authority president Mahmoud Abbas was an admission that the negotiations with the Israeli occupation are a fruitless option and pose a threat to the Palestinian people's rights. Its spokesman Fawzi Barhoum stated on his facebook page on Saturday that Abbas's admission of the failure of the peace process was supposed to be followed by declaring his authority's withdrawal from the talks with the occupation. Spokesman Barhoum described Abbas's remarks about his refusal to recognize Israel as a Jewish state and his holding on to the right of return, the release of prisoners and the execution of the reconciliation agreement as positive and important, and should be supported. As for the new Palestinian government to be formed, the spokesman said that this government would be transitional with specific tasks and not affiliated with a political party. He also said that the Palestinian political issue is the jurisdiction of what he described as the interim leadership framework, noting that Hamas's position on the peace talks with the Israeli occupation did not change and would never provide any political cover in this regard. Abbas criticized, in a speech before the central council of the Palestine liberation organization (PLO) on Saturday, Israel's labeling of the reconciliation agreement as a deal with "terrorists" and described it as unacceptable. "You have clinched a deal with them at the time of Mohamed Morsi, so there is no sense in forbidding me now from going to Hamas," Abbas stated. Abbas also stressed his determination to go on with the reconciliation process regardless of Israel's opposition. For his part, PLO chief negotiator Saeb Erekat said that Hamas is a Palestinian resistance movement and not a terrorist group, and has a right not to recognize Israel. Erekat told Erem news website that Israel knows that a Palestinian state on the 1967 borders cannot be established without a reconciliation agreement between the Palestinian factions. Erekat also demanded Israel to stop its "blatant interference" in the Palestinian internal affairs. The PLO official accused Israel of using the Palestinian reconciliation agreement as a pretext to end the peace talks, and described its sanctions against the Palestinian Authority as an act of bullying. He stressed that unless Israel fulfilled its obligations towards the peace process, the PLO would not resume its talks with it. 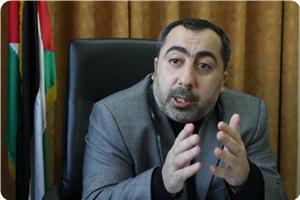 Taher al-Nunu, the media advisor to Gaza premier Ismail Haneyya, has denied a statement attributed to him by an American newspaper expressing Hamas’s readiness to recognize Israel. Nunu told the Palestinian Information Center (PIC) on Sunday that he was not interviewed by ‘Washington Post’ in the mentioned period. He stressed that statements quoting him in this regard were not true. “We did not discuss the issue of recognizing the Zionist entity, and it is not tabled for discussion on our part in the first place,” he said, adding that the Gaza government would follow up the issue with the American paper. Hebrew press quoted the ‘Washington Post’ as saying that Hamas might recognize Israel and would discuss the issue with Fatah faction. Nunu underlined that Hamas was committed to what has been agreed upon with Fatah mainly the formation of a consensus government that would have nothing to do with the political affairs. He explained that the government would be entrusted with ending the division and preparing for presidential elections while leaving the political affairs to the Palestine Liberation Organization. Palestinian President Mahmoud Abbas stated during a meeting of the Central Council of the Palestinian Liberation Organization (PLO) that the Palestinians will not agree to an independent state without Jerusalem as its capital. “Jerusalem is the capital of our state”, Abbas said, “Without it, there can be no state, no peace”. Abbas added that negotiations mean political action, and that the Palestinians want to achieve their legitimate rights through negotiations, the Milad News Agency has reported. “The current situation proved to us Israel is not interested in a permanent solution”, he said, “The Oslo Agreement was an agreement on principles, not a permanent solution”. The Palestinian president further stated that any final status agreement with the Israelis would be subject to a referendum, adding that no leader, or person, can sign a deal without a referendum that includes all Palestinians, wherever they are. Member of the Palestinian National Council, Salim Za’noun, called for preparing a constitution for the Palestinian State, and called on the Palestinian Authority to file more applications to join international conventions, including the International Criminal Court. Za’noun added that the Palestinian leadership should also discuss the means to escalate and boost nonviolent popular resistance activities against the Israeli occupation, its illegitimate settlements and the apartheid wall. 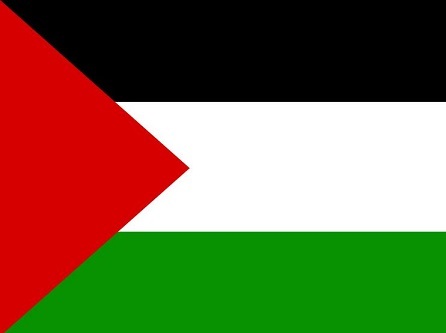 Sixty-eight out of the 114 members of the Central Council managed to attend the meeting; the central committee coordinates between the Palestinian National Council and the Executive Committee of the Palestinian Liberation Organization (PLO). The Israeli government of Benjamin Netanyahu started a media campaign against the Palestinian Authority and its president Abbas, and started a series of measures meant to isolate the P.A and, once again, withheld the transfer of tax money it collects on border terminals it controls in the occupied West Bank. Sanctions were imposed against businesspersons, companies and projects that are supposed to boost the Palestinian economy. Israel wants the Palestinians to continue direct talks without freezing its illegitimate settlement construction and expansion activities, and without recognizing any of the internationally guaranteed Palestinian Rights, mainly the Right of Return of all refugees, and their right to a fully independent and sovereign Palestinian State with East Jerusalem as its capital. Tel Aviv also wants to maintain control over natural resources, the Jordan Valley, and all vital areas of the occupied West Bank, including all border terminals. Its illegitimate settlements and Apartheid Wall have turned the occupied territories into isolated cantons, besides leading to the illegal confiscation of Palestinian lands and orchards; large areas of Palestinian farmlands are now completely isolated behind the Wall. Even during direct political talks with the P.A, the Israeli army continued its invasions, assaults, assassinations, arrests and home demolitions in different parts of the occupied West Bank, including in occupied East Jerusalem. The Palestinian Authority in the occupied West Bank is weighing all possible measures to counter Israeli sanctions and restrictions, including initiating austerity measures and advancing tax collection systems, to be able to cover some of the costs needed to prevent its collapse. The decision was made after Israel imposed sanctions on the P.A, and stopped the transfer of tax money it collects on border terminals leading to the occupied West Bank. The Israeli sanctions came after the P.A. filed applications to join 15 international conventions and treaties, when Israel refused to release veteran Palestinian political prisoners held since the first Oslo Agreement of 1993. The release was supposed to be implemented on March 29. Spokesperson of the Palestinian Economy Ministry, Azmy Abdul-Rahman, told the Maan News Agency that, should Israel implement the sanctions, the P.A would have to cut costs in all ministries, and increase tax collection. He added that the P.A. usually gets around $120 Million a month, and that this amount covers 80% of monthly costs, including paying salaries, pensions and providing basic services. “Should Israel stop the transfer, the Palestinian economy would be largely impacted”, he said. Abdul-Rahman warned of the direct impacts of Israeli sanctions, especially since Israel has sole control on all border terminals leading to the occupied West Bank. He further stated that, according to signed agreements, mainly the Paris Protocol, Israel collects customs and taxes on West Bank border terminals, and transfers them to the Palestinian Authority after deducting a 3% interest. Israel repeatedly withheld the money in an attempt to pressure the P.A. and force it to refrain from signing international agreements and treaties, and to oblige it continue direct peace talks while Tel Aviv continues its violations, including the ongoing construction and expansion of its illegitimate settlements. Israel recently decided to sanction the P.A. by imposing further restrictions which could cause the already weak Palestinian economy to collapse. Some of the measures include halting the transfer of tax money, and restricting the movement and trade of Palestinian businesspersons and companies. 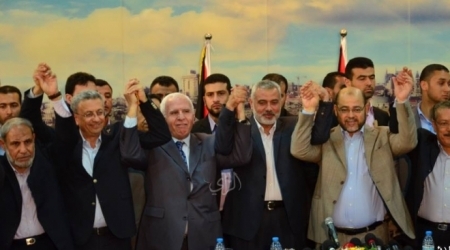 The recent sanctions were enforced after the rival Fateh and Hamas movements, with various Palestinian factions, signed a reconciliation and unity agreement that could lead to forming an interim unity government until general and presidential elections are held. The Israeli Cabinet decided that Tel Aviv will not negotiate with any Palestinian government that includes Hamas. 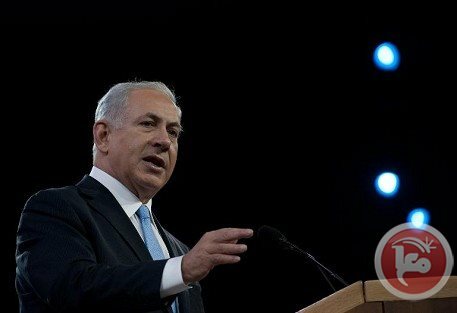 Israeli Prime Minister Benjamin Netanyahu said that President Mahmoud Abbas violated standing agreements when he decided to join United Nations institutions and international treaties, and when he held a coalition with the Hamas movement. The P.A. 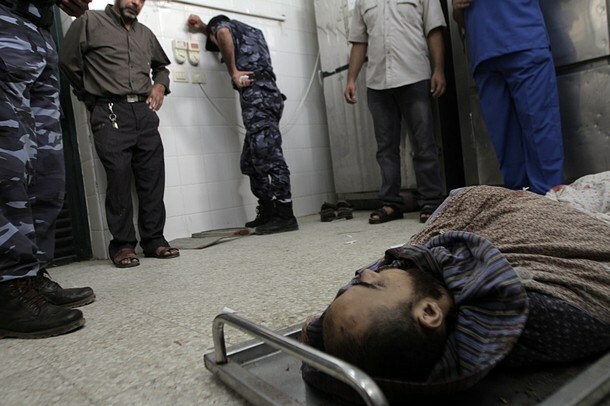 in the West Bank said it is committed to the political process until signing a comprehensive peace deal with Tel Aviv, but cannot continue these talks while Israel is ongoing with its violations, including ongoing invasions, assassinations and arrests, and that Israel must fully stop its illegitimate settlement construction and expansion activities.